I am 27 years old, yet it is only over the last 3 or so years that I have begun to master the art of applying make up properly. For me, it is something which has never come particularly naturally and has always taken a hell of a lot of practice and patience. Yet recently, I have discovered (and somewhat late to the party!) that applying make up successfully is not just about skill, it is also about finding the right tools to do the job - and boy have I been using the wrong tools! I have worn eyeliner for quite a while, yet mastering 'flicks', 'cateyes', whatever you want to call them, is something that I have always wanted, yet never managed. I have tried lots of different brands and types of eyeliners over the years, but none have managed to give me result I want - until now. I was using an eyeliner pen, yet it was not giving me the precision that I wanted. 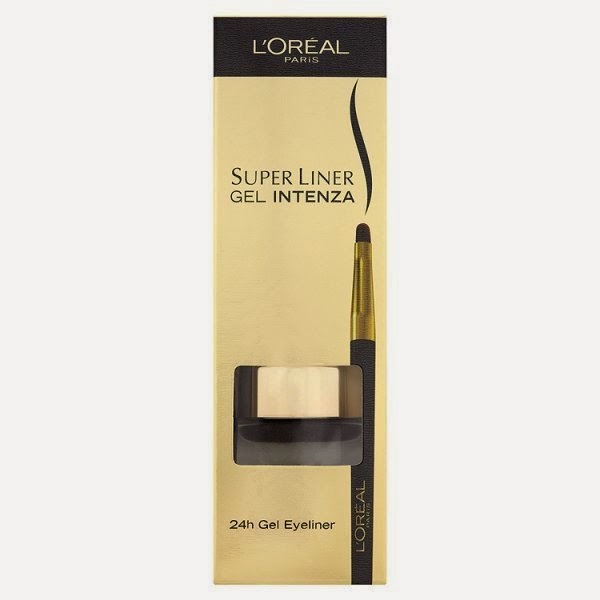 I then started to use L'Oreal Superliner Gel Intenza in Pure Black and I am so glad that I made the switch to gel eyeliner. This eyeliner is amazing. When I picked it up in the shop, I felt like an idiot. The reason being I was convinced that I didn't have anywhere near the skill level required to apply it! It looked like something a professional makeup artist would use and that is not me! I was however, surprised at the price. It only costs £9.99 which I thought was quite reasonable, considering that it also comes with a brush. This is nice, as it means you can get started immediately without having to buy a separate brush. The one thing I will say about the brush is that it is flat and not angled, which makes precision application not quite as easy as with other eyeliner brushes. The texture of the eyeliner gel itself is like silk. 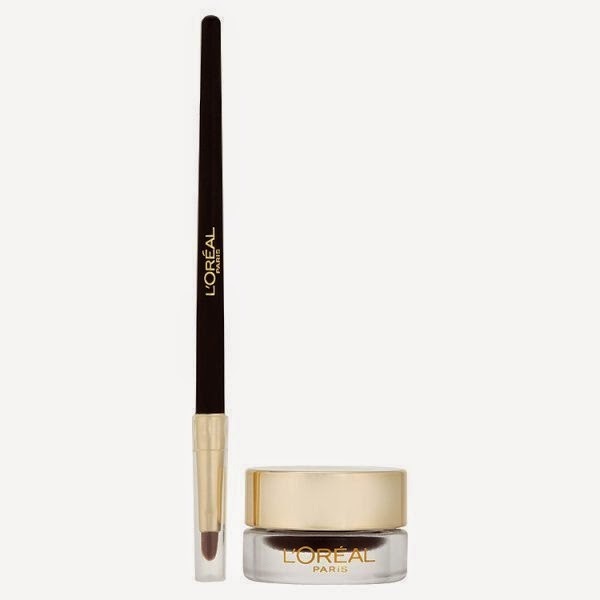 It glides onto the eye so easily and smoothly and is really lovely to apply. The amount provided in the pot is also pretty generous, so you get quite a lot for your money too; you hardly need to use any at all to get good coverage. The best thing about this eyeliner is its staying power. It claims to be a 24 hour eyeliner - and it really is. Once it is on your face, that's it, it is staying put! I cannot count the times I have scratched, rubbed and knocked my eye during the day to find that my eyeliner has not moved an inch. Its so good that when I am removing my make up, it almost doesn't want to come off! The only downside of this, is that, if you make a mistake during application, the rest of your face suffers and it tends to be a bit of a ball ache to correct it. You can pick this eyeliner up from Boots, Superdrug etc for £9.99 and I would really recommend it. It is great value for money, good quality, easy to use (after a bit of practice) and long lasting.